On World Autism Awareness Day, here are some early symptoms of autism every parent needs to be aware of. -Autistic kids don’t start gesturing or babbling by the time they are one year old like normal kids. They are also not able to learn words and understand and convey basic words by the time they are 2 years of age. -Autistic kids are unable to communicate or point out what they need by gesturing or pointing with fingers. Even if they know a few words, they may not be able to communicate or initiate a conversation. -In some cases, they cannot make eye contact when asking for something or conveying something to others. -They prefer doing activities by themselves instead of indulging in play with others. They do not prefer doing any sort of communication or playing any kind of games with other kids or adults. 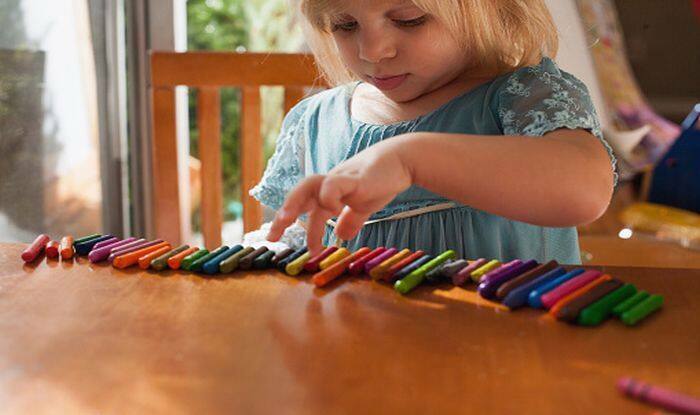 -While most babies learn to respond to sounds or names, autistic kids are unable to do so. -Some repetitive actions include rocking the body back and forth, clapping continuously etc. As soon as you notice these symptoms, it is best to take your kid to a doctor for an early diagnosis. While there is no cure for autism, a number of treatments including speech therapy, occupational therapy behavioural therapy can help autistic kids learn basic communication and social skills that will enable them to lead better lives in the future.